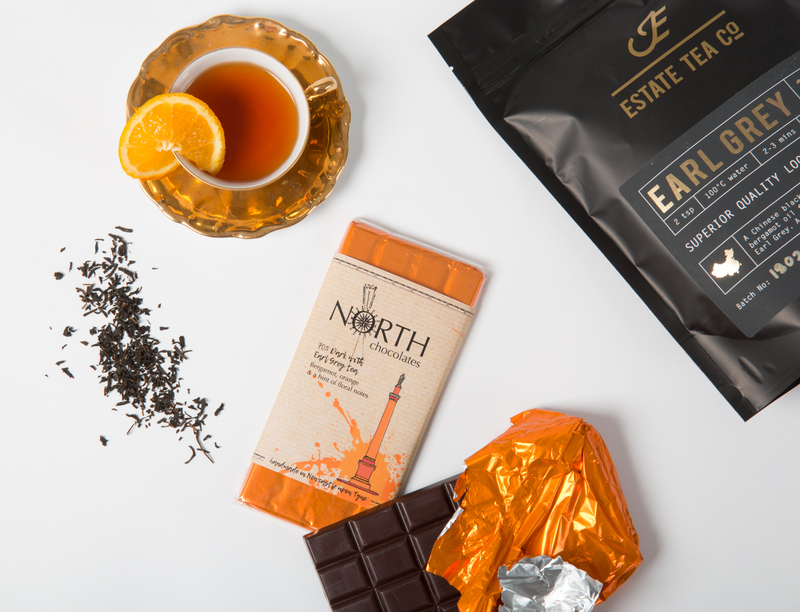 Local artisan chocolate brand North Chocolates have collaborated with local companies to bring their new range to shops near you. Working with Newcastle based award-winning creative consultancy DECIDE, and local artist Suzanne Homer to design the packaging for their latest selection of bars. 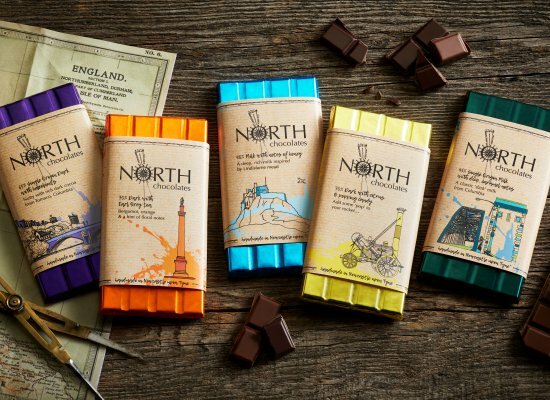 Company founder, and chocolate maker extraordinaire, Bev Stephenson wanted to launch a selection of her award-winning, small batch gourmet chocolate bars to celebrate the special heritage, landscape, inventions and culture that are synonymous with the North East. After seeing Grant Marshall, Creative Director of DECIDE, giving a talk at a DNN (Design Network North) food and drink conference, in which he explained how the consultancy uses its proprietary 'd3thinking tools' to influence shopper decision making, Bev approached DECIDE to undertake this exciting project. The new range packaging features craft paper stock imagery to enhance the product’s artisanal, handmade cues, with a colour coded ’splash’ of ink to visually differentiate between each product. 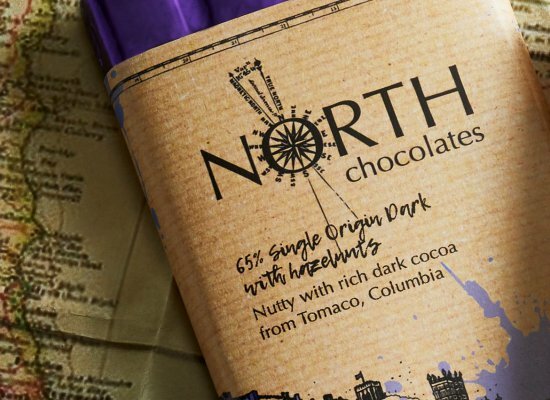 The introduction of a graphic map border device to complement the brand’s ‘compass' brand marque also reinforces the local provenance of the chocolate. Each pack features illustrations specially commissioned from local artist Suzanne Homer. The handmade chocolates range from a classic Single origin 45% Milk bar with an illustration of the iconic Tyne Bridge, to one inspired by the ‘Great Reformer’ Earl Grey from Northumberland featuring a flavourful blend from Newcastle’s Estate tea Company proudly represented with an illustration of Newcastle's famous city centre monument. First reactions from stockists look promising, with demand exceeding expectations, and the range securing a coveted place within The Great Exhibition of the North corporate brand packs. *Estate Tea Company is an independent business specialising in high quality loose leaf teas based in Newcastle Upon Tyne; their passion is in sourcing only the top grades of small batch tea available. They take great pride in procuring their teas through honest and ethical channels wherever possible.